Windows and doors are quite susceptible to damage during storms due to high winds, hail, and flying debris. Southlake Roof Repair will fix your broken windows in no time, glass and frame. Our knowledgeable team of Contractors will work with you to match your windows with the exterior of your home or business, leaving you with beautiful window frames. If you are looking to simply replace all your windows, we can do that as well. Our Specialists can recommend what styles of windows work best in our Southlake climate. Our Window Repair and Installation Team will work diligently to have your window performing at ﻿optimal﻿ Efficiency, saving you money on your Electric Bill. Large Pain or Small Glass, we replace and repair it all. 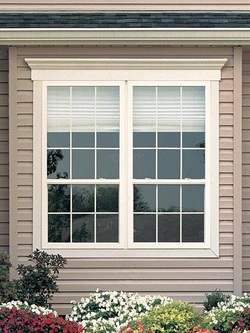 French Door Glass, Sliding Glass Doors, Bay Windows, Garden Windows, Skylights, even Radius Windows! Don't go another day with broken, damaged, or poor-efficient windows. make the change today! If you are in the market for new windows or are in need of window repair, call us today at (972) 447-6337 - or submit the form on the right.